Our mainstay of business is residential carpet cleaning but we are really good at commercial carpet cleaning too. 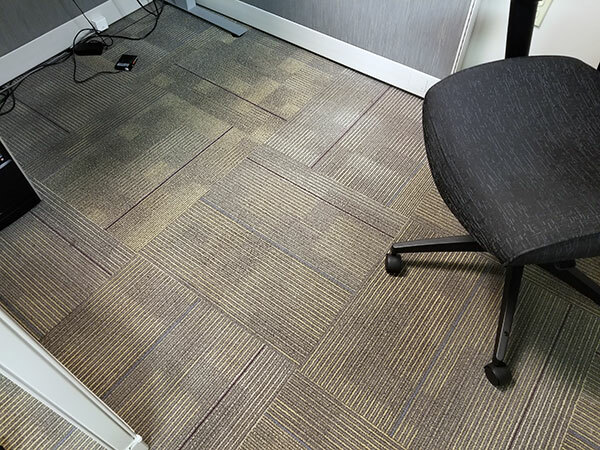 This before and after photos were taken during a commercial carpet cleaning in Tampa FL. This particular coffee stain stood out as an office legend. The cubicle is shared by several employees during different shifts. Know one would fess up to the accidental release of coffee into the wild, or carpet. It the end who done it was irrelevant. We came in after hours and cleaned all 5446 square feet of glue down commercial carpet tiles, that you find all over in Tampa FL. We used our go to commercial carpet cleaning solution, green certified encapsulation cleaning with an Oxy booster designed for coffee and other organic spills. I have to say that it works great on most office related mishaps that end up in the carpet. Another plus of our commercial carpet cleaning service is that it dries in about 45 minutes with no dirt attracting residue. 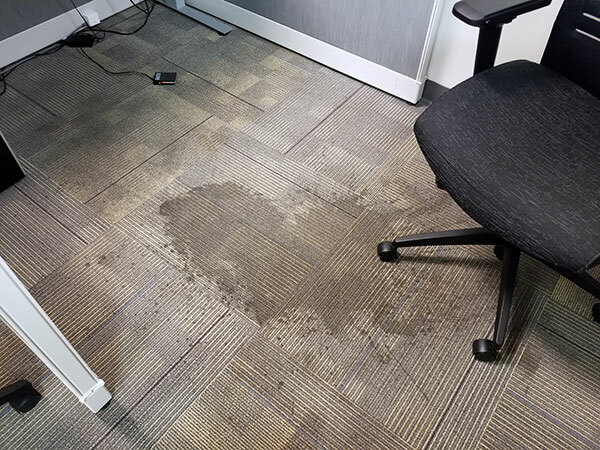 With off hours cleaning there is no need to worry about wet carpet or chemical smells in the office the next day. For commercial carpet cleaning estimates in Tampa FL call Chem-Dry of Tampa.